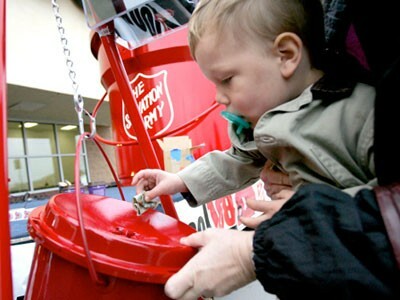 Between natural disasters like the recent deadly storms in the Midwest and the Philippines, and an ongoing economic malaise that includes high unemployment, the looming end of extended unemployment insurance benefits for millions, income inequality that has Walmart defending food drives for its workers and other fiscal woes, there is no shortage of individuals needing assistance as we head into the big year-end charity fundraising season. Add to that the federal sequester that is curbing funds for medical research — a group of university executives gathered last week to outline the harsh effects the cuts are having on science budgets — and other programs such as public housing, and it’s a competitive year for fundraisers who vie for limited individual, foundation and corporate philanthropic dollars. You’re probably already tackling the personal finance angle — year-end tax tips related to charitable giving, how to avoid charity scams and how to use tools like CharityNavigator and CharityWatch.org to evaluate giving opportunities. Shopping for a cause is another possibility; from charity thrift shops and hospital gift shops to merchants like those on this online list of gift stores that benefit non-profits. And what are customer loyalty, points and rewards programs doing? I got an e-mail the other day from Best Western asking me to donate my accumulated points to typhoon relief (not sure how that works) and have noticed that other programs like the MyCokeRewards system also allow participants to donate points. One angle you might want to tackle is donation fatigue; are Americans tapped out, financially and/or emotionally, after five-plus years of relentless bad news stemming from the Great Recession, headline-grabbing weather events from hurricanes to tsunamis, volatile investment markets, grim global headlines and quite possibly personal reversals of fortune. The Christian Science Monitor cites Pew research that Americans are showing less interest in the Philippines’ typhoon and its aftereffects than for previous large natural disasters; you could translate this into a local story about any similar trends at area charities in your market. Check with employers about participation in formal and informal giving programs, check with accountants and financial advisers about both current giving (perhaps people with lower incomes don’t need the tax deductions they did a few years ago) and longer-term trends such as bequests. Are families hoarding money for the use of future generations rather than setting up foundations, trusts and other vehicles to do posthumous good works? Here’s an interesting report from a Texas Tech University professor who directs the graduate program in charitable giving (who knew?) — it’s got a lot of interesting metrics about “planned giving” and does not that participation by single people, particularly, dropped post-recession — but also says that the unmarried are more likely (in the long run) than those with spouses to make charitable bequests on death. Interesting. And big money — this infographic from the National Philanthropic Trusts says trillions of dollars in charitable bequests — as much as $27 trillion — are expected to take place 1998-2052. Corporate giving and fundraising at this time of year is another interesting angle. You can look at trends in direct giving, through corporate foundations or annual drives — here’s a Slate article from August that says companies’ contributions have become rather stingy when compared to profits, and outlines what some consider the pros and cons of corporate charity. Maybe you can round up some factoids about good works at your region’s biggest firms and employers, and compare to their sales and earnings. Workplace tensions surrounding charitable giving might be a timely topic; I know a lot of people feel undue pressure to give to organized drives or the bosses’s pet cause. You might speak with human resources experts, legal consultants and others about how much pressure is too much in the workplace and what workers can do if they feel their continued employment or good performance reviews depend on helping their manager achieve fundraising goals. Here’s a CBS MoneyWatch article from a few years ago on the topic; it’s worth revisiting. Another workplace angle: Which companies in your area still offer to match employee contributions, and how is that trending? Marketing tied to giving is another angle. Here’s an article from Supermarket News about offering consumers products that support humanitarian causes; talk with local marketing, advertising and communications firms about what their clients are doing. The marketing firm Incite writes a lot about the topic and might provide expert staffers for commentary on national trends.